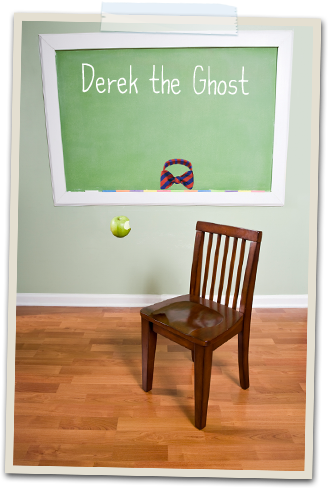 I was lucky enough to have the chance to pin down Derek the Ghost, Author of Scary School, for an interview. Though I couldn't quite look him in the eye, I found him to be quite charming. I hope you enjoy the interview as much as I did. Q. What ended up being your favorite part of writing Scary School? Derek: I love taking kids basic fears about school - making friends, dealing with bullies, having a mean teacher, etc., and heightening to the point that they became ridiculous and hilarious. Hopefully kids will read the Scary School series and be able to put their own problems into perspective and things won't seem so bad. Hey, you may have a mean teacher, but at least she probably won't eat you if you break a rule like Dr. Dragonbreath! Q. On your acknowledgement page, you thank many of your teachers. Did you try to infuse those teacher's personalities into the monster teachers in Scary School? Derek: Certainly many of the teachers were inspired by some real life scary teachers I had. While I didn't actually have any Dragon, Vampire, or Zombie teachers, I used elements of some of my teachers' personalities. Dr. Dragonbreath was inspired by an amazing Latin teacher I had who liked to wear bow ties every day. While he wasn't as scary as Dr. Dragonbreath, he was the best teacher in the school just like Dr. Dragonbreath (once you get past his appetite for rule-breakers). The students are mostly inspired by many of the classic horror characters. For instance, there's the 11-year-old version of Jason and Freddy... and in Book 2 you'll get to meet a young Stephen King and possibly even some familiar faces from Harry Potter! Q. Scary School reminds me of so many secret fears. Did you have a secret fear as a school aged child and if so, what was it? Derek: Haha. I lot a lot of fears but i don't think any of them were secret! I was often afraid that monsters, like Dracula, were hiding in my room at night. I remember the movie, The Last Unicorn, scared the you-know-what out of me and I was afraid of the Red Bull even when I was sitting on the toilet. I conquered that fear by drinking lots of Red Bull once it came out. Q. Do you always like to float around in life and what do you observe when floating around that inspires you to write? I'm a really good listener. I love listening in on conversations to study how people talk and how conversations flow. If you actually write down real life conversations word-for-word and then read it back like a dialogue scene, it doesn't even seem realistic! Q. What do you do in your spare time when not writing about scary things? I'm a huge foodie and love trying to places to eat and cooking up a storm. I'm even cooking my way through Mario Batali's (or as he's known in Scary School, Mario Bat-Ali's) cookbook right now like a Julie and Julia thing, but I'm not blogging about it. Q. What is the hardest thing about writing? I've been writing pretty feverishly since I was seven years old, so it all comes fairly easy to me at this point. I guess the hardest parts are in the later process when I'm editing and I have to cut out jokes or even whole chapters that I love for the sake of brevity. Q. Do you have a favorite character in Scary School? Tell us who it is and what you love about them. In Book One I think Petunia was my favorite character. I think I share a lot of traits with her in terms of our school experience - feeling lonely, feeling like an outcast, being lost in her own world, and carrying a sadness upon her shoulders because her classmates can't see past her peculiarities. Her chapter was also one of my favorites to write because it was so spooky and creepy, plus it teaches an important lesson about being careful what you wish for, and it gives her a really nice arc. Q. Tell us a little about the next book in the series. Scary School #2: Monsters on the March comes out June 26, 2012 online and in bookstores everywhere. After winning the Ghoul Games, Scary School gets to claim their prize of going on a field trip to meet the Monster King in Monster Kingdom. However, things do not go as planned and the students have to get very lucky to make it out of there alive. All of your favorite characters will be back for new adventures, and there will of course be lots of strange and spooky new characters and teachers. After that, Book 3 will be out June 2013 and things get CRAZY!! Q. My goal is to get boys to read more. If you could give one bit of advice to get boys to read and write more, what would it be? Well, may I humbly say that having them read book series like Scary School is the perfect way to get them to read more. At that age, boys want to have fun and not have reading feel like doing homework. Once the connection is made that reading can be fun, it will trigger a love of reading that should carry on through adulthood. Generally, the more one reads, the more there is a temptation to write. Again, it's great to inspire boys by giving them something fun to write about. Have them write a story about what happens if all of their favorite basketball players turned into zombies. Kids who don't like to write will suddenly have a very different attitude. It's also great to have them pick out their own books so that they form a bond with it. They will be much more inclined to read a book they picked out themselves rather than having something forced upon them. Lastly, it's great to incorporate modern things they love into reading. Like video games! On the Scary School website - www.ScarySchool.com - there's a video game for kids to play, and if they win, they get the weirdest trophy ever. Plus you can tour the school, meet the faculty and students, and unlock a secret chapter after finishing book 1! Be sure to read my review of Scary School HERE. Also, Derek Kent, has agreed to give one lucky reader and eBook copy of Scary School. Use the Rafflecopter form to enter the giveaway. 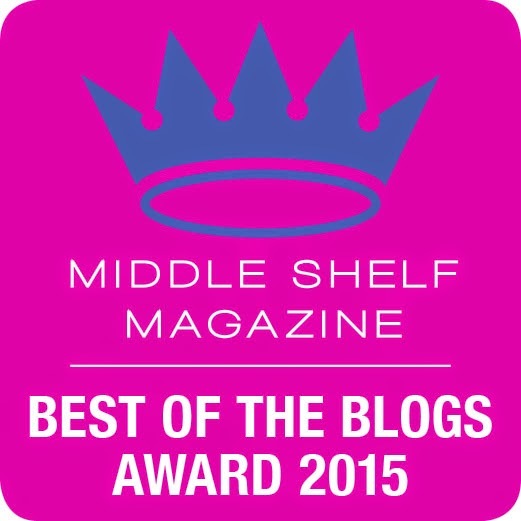 Winner will received an electronic version of the book. Contest ends on February 27, 2012 at 10:01 MST. Winner will be notified through email and prize will be sent via email. ARV of prize is $8.99 (cost of Kindle edition). suebunting1977@gmail.com something I liked is Derek is an eleven-year-old ghost who haunts the classrooms and hallways of Scary School, writing down all the spine-tingling often hilarious things that go on there. I love the whole idea of the story and website is amazing, I even let my little brother played the matching game and toured the school.